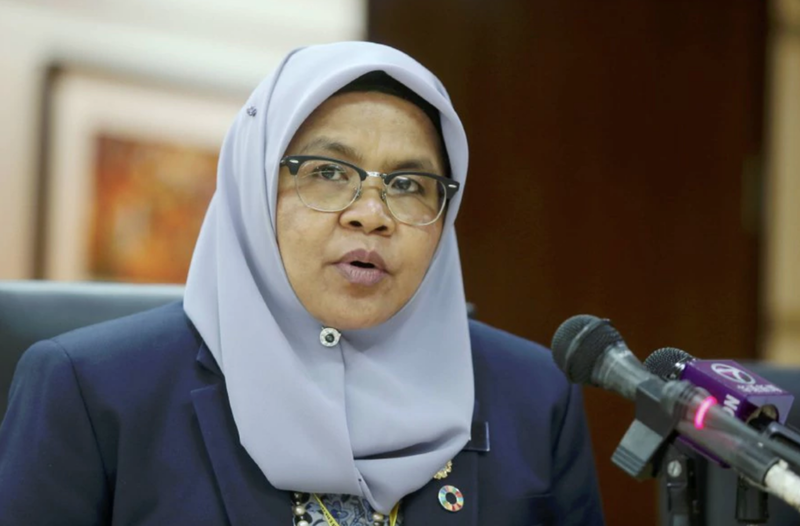 Ms. Maimunah Mohd Sharif, Executive Director of the United Nations Human Settlements Programme (UN-Habitat), has come a long way from Kuala Pilah, the rural Malaysian village in which she grew up. But she has far from forgotten her roots. The first female mayor of Penang, the second-largest city in Malaysia, and the first Asian woman to hold the UN-Habitat ED post, she has spent her first four months as ED spreading one central message: bring communities, large and small, into urban planning processes. In a roundtable discussion hosted on 15 May by the Oxford Urbanists, ThinkCity, and the Oxford Sustainable Urban Development Programme, Sharif shared her personal story, outlined her mission, and sought input from students and faculty from a diverse set of backgrounds. Her aim, she says, is to crowd-source ideas for “localizing” the Sustainable Development Goals and and implementing the New Urban Agenda. In Oxford, Sharif described a challenging childhood. One of six children, she would often tap rubber before making a three-mile journey to school. Her childhood home had no electricity. She did her homework under a kerosene lamp. Such an upbringing instilled into her a deep conviction for change, she says. From the age of ten, Sharif knew she wanted to break “the vicious cycle of poverty.” Watching her mother make sacrifices, she committed herself to advocating for female-forward approaches in whatever she did. Sharif received a scholarship from the Malaysian government to pursue her education in the UK, completing her A-levels in Bournemouth and a bachelor’s degree in urban planning at Cardiff University. Her first trip to Bournemouth was the first time she had left her hometown. Upon graduating from university, Sharif returned to Malaysia to work as a city planner in Penang, where she rose through the ranks, eventually becoming mayor. Among her first objectives: introducing gender-responsive participatory budgeting and planning. It was during her time as mayor, Sharif says, that she came to believe in the necessity of people- and culture-centred planning, in contrast to what she believed was an overemphasis on construction and architecture for its own sake. "Urban planning is not about engineering,” Sharif opined. “It's about inclusivity. It's about building a community. Planners need to have this in mind before they begin anything." As Director of Planning for Penang and then as mayor, Sharif promoted cultural preservation through urban regeneration as a way to foster inclusive development. She was the first General Manager of the George Town World Heritage Site, inscribed by UNESCO in 2008. For Sharif, inclusivity also means combining as many heads as possible when engaging in strategic planning, and involving communities from the start. On her first day as Executive Director of UN-Habitat, she held an internal town hall meeting aimed at promoting core values of trust, communication, and governance. It was in this spirit that Sharif came to Oxford for a roundtable discussion focused on implementing the New Urban Agenda (NUA). UN-Habitat Executive Director Maimunah Mohd Sharif, right, outlined findings from her initial meetings with city leaders from around the world. Dr. Radhika Khosla (left), Research Director of the Oxford India Centre for Sustainable Development, moderated the roundtable. In the opening presentation of the day, Ikuno Naka, PhD candidate at Oxford’s Department of International Development, argued for close attention to the processes that are driving the development of the built environment, including financial ones. Analyzing the recent financialization of the real estate market of the Indian city of Cochin, Naka illustrated how various chains of capitalization have emerged out of speculation over Cochin’s future and examined the ramifications of the real estate bubble that has arisen as a result. Living costs have increased and construction is proceeding rapidly. Débora Leão, a public policy student at Oxford’s Blavatnik School of Government, subsequently detailed her work with Engajamundo, a Brazilian youth platform for engagement in global development initiatives. Engajamundo seeks to amplify youth voices from the Global South through capacity and community building, while encouraging decision-makers to more strongly consider matters important to youth. Especially relevant to UN-Habitat’s mission, Leão noted, are Engajamuno’s efforts to “translate” the technical language of the New Urban Agenda into something more “fun and comprehensible.” The organization is also publishing case studies of Brazilian youth-led initiatives aimed at implementing the agenda. Following Leão, Dr. Andreza de Souza Santos, post-doctoral researcher at Oxford’s Centre on Migration, Policy, and Society (COMPAS), discussed the recent collapse of a central São Paulo building to illustrate role that academics can play in promoting heritage conservation and implementing the NUA. “How can knowledge exchange and policy agendas align in terms of timeframes, goals, processes, and messaging?” Dr. de Souza Santos asked. In the final presentation, Dr. David Howard, Associate Professor of Sustainable Urban Development at Oxford’s Department for Continuing Education, outlined his research on urban resilience in Kingston, Jamaica. In doing so, he critiqued the rhetoric surrounding contemporary urban resilience work. “Who wants to be ‘resilient’ if it means you are constantly responding to problems, always in bad situations?” Dr. Howard asked. “Who wants to be future-proofed, constantly adapting to challenges?” As an alternative to the “resiliency” discourse, he recommended focusing on gender empowerment and formalization of land tenure. Most crucially, he advocated for a focus on building resilient places, through sturdy infrastructure and reliable basic services, rather than focusing on creating resilient people. In her closing remarks, ED Sharif reiterated her belief in working toward holistic and integrated sustainable development trajectories, emphasizing the need to improve implementation through greater public participation. Max Nathanson is co-founder and Organizational Development Director for the Oxford Urbanists. A recent graduate of Oxford University (MPhil Development Studies), his current research focuses on Chinese finance in Latin America, and he has broader interests in the political economy of sustainable development, development finance, and infrastructure and energy systems. He holds a bachelor's degree in Political Science from the University of Colorado. Gus Greenstein is Publications Director for the Oxford Urbanists. A recent graduate of Oxford University (MPhil Development Studies) and incoming PhD Student at Stanford University (Interdisciplinary Program in Environment and Resources), his current research focuses on the evolution of development finance institutions, and he has broader interests in the social-environmental sustainability of large-scale infrastructure development. He holds a bachelor's degree in Environmental Studies from Amherst College.